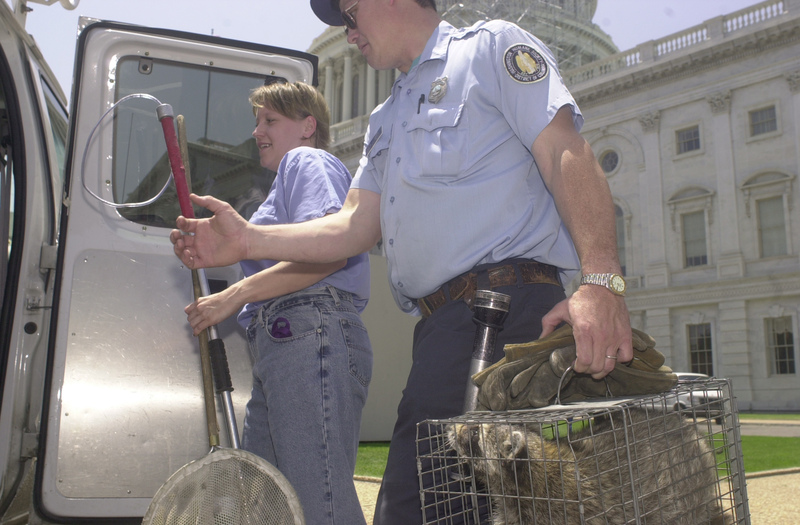 Wednesday’s raccoon adventures in Minnesota reminded the Roll Call crew of way back in May 2000, when we were alerted to a Procyon lotor’s scaling of the Capitol Dome. He likely was looking for a bird’s nest, but then took refuge in the Dome’s columns after crows started dive-bombing him. Eventually, Capitol workers and D.C. 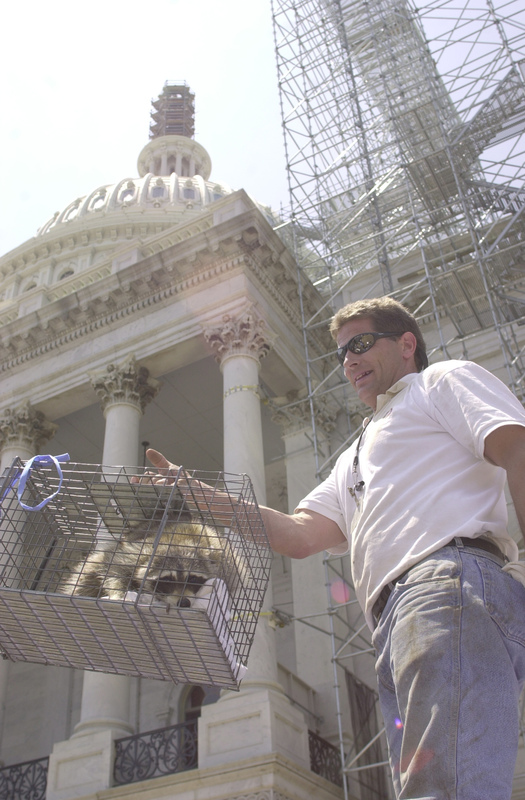 Animal Shelter captured the raccoon and helped him down off the Dome to safety. No word on whether the raccoon, let’s call him Rodney?, eventually made his way to Minnesota.